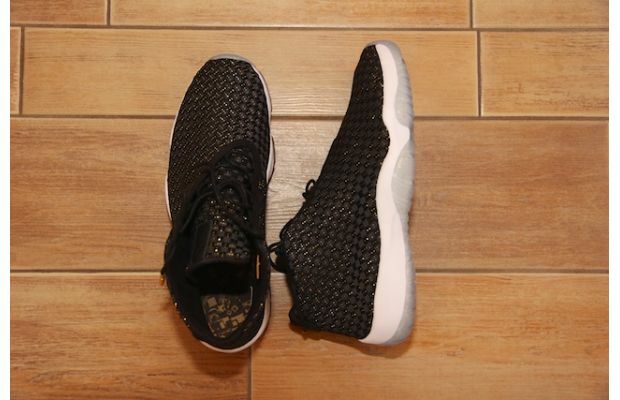 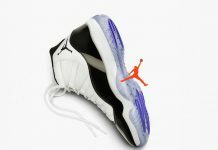 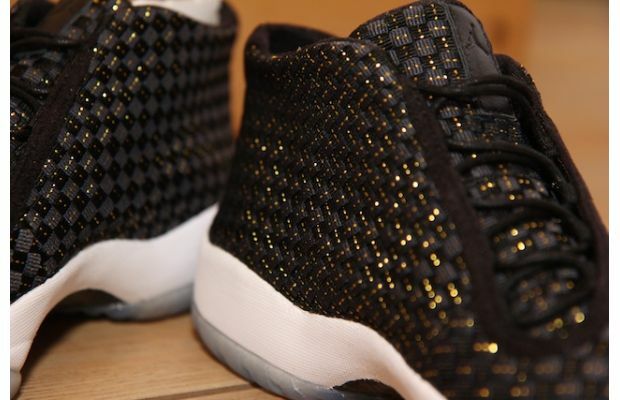 The Jordan Brand classic brought upon several special colorways for the event that took place a few weeks ago and among the JBC Line up, was the Jordan Future – A Popular silhouette that takes the classic Air Jordan 11 Aesthetic fused with a woven upper. 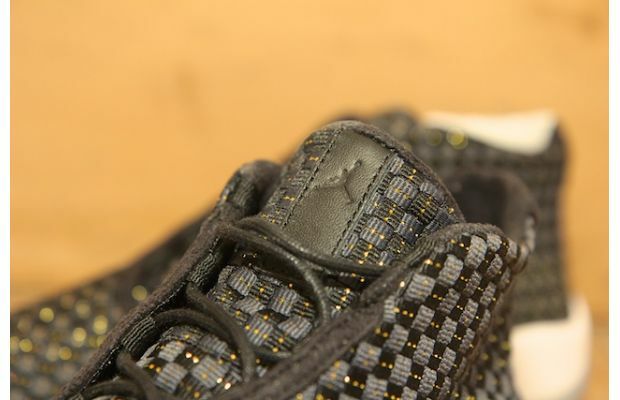 The Black Woven material has been sprinkle with gold while an Icy Blue sole featuring Gold makes this Future a must have. 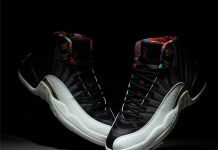 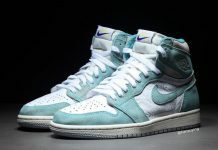 These weren’t made available to the public but have made their way on Ebay so for those wanting to cop a pair, Put Your Bids In .